Group-mates all said these etudes are boring but I quite like them. Boring stuff, by TOTO, must be good. It’s kind of like long distance running it’s boring but there’s exactly where you can find the joy. Too bad there isn’t demo CD for it. This is book 1 of 4, even for book 4 this is still considered elementary stuff so I guess there is no market for a CD. 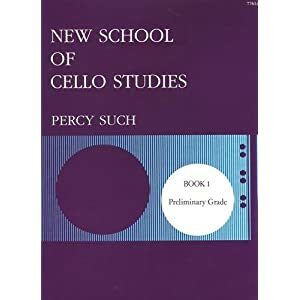 Percy Such (b. 1878), English cellist, perhaps should have made recording using “Edison Disc” at the turn of the century. 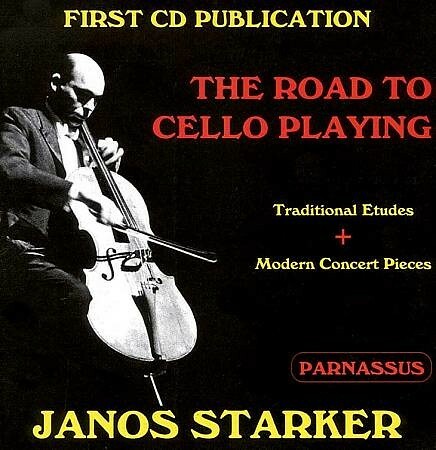 Luckily I have this CD by Janos Starker for some pretty hard (to me) etudes. Now I’m learning. Again researched about this and found that this is indeed very common from here. I should also be doing some proper stretching to prepare my body for higher intensity jogging. At this age I haven’t experienced any back problem earlier in my sports activities I guess I don’t need advice from doctors yet perhaps I need to follow this to correct my body curve and stay in shape while sitting, walking and jogging. I know of course a flabby stomach stops me from keeping a good curve or posture. Thinking in opposite direction problem with back must be due to something at the front.